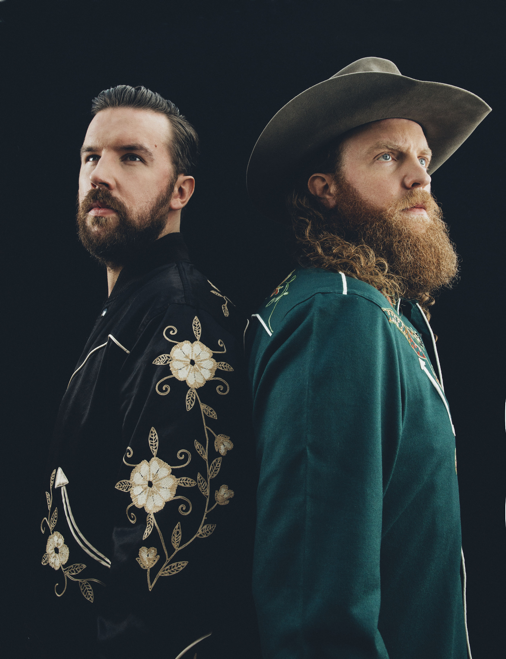 Brothers Osborne have confirmed the release of their latest single for January 5th 2018. Titled ‘Shoot Me Straight’, and taken from the award-winning Brothers second studio album, title tbc, the track – as with the new record – has been produced by Jay Joyce, who also worked with the Nashville-based duo on their debut ‘Pawn Shop’ outing; this was originally released in 2016 then given a UK re-issue the following year (in expanded / re-packaged form) via the Snakefarm label. ‘Shoot Me Straight’ – previewed live when TJ & John Osborne joined Nashville neighbours The Cadillac Three on a run of UK shows late last year – sees the musicians stretching their collective wings with a near seven-minute track recorded away from the sometimes sterile environs of the studio; for this session, and indeed the new album as a whole, recording took place at beach house filled with cool equipment and the desire to create music built on chemistry and vibe, something that ‘Shoot Me Straight’ (with its solid groove, spontaneous feel and stellar musicianship) makes abundantly plain. The Brother’s signature sound – an emotive, finely-crafted blend of country tradition, commercial sensibility and roots rock power – sees their status and success continue to rise; in addition to two Grammy nominations, they won big at the recent Country Music Association Awards (the CMAs) in Nashville, taking the honours in two categories – Vocal Duo of the Year and Music Video of the Year (‘It Ain’t My Fault’, a track from the ‘Pawn Shop’ album). Tickets for all dates are available here.